Here is the story of Sante Kimes, a cold-blooded, calculating killer who lived according to her own mad rules, conned her way into millions with logic, cunning, and subterfuge and left a cross-country trail of bodies. Dragging her brain-washed and beloved son into her devious and passionate acquisition of houses, furs, and cars, she indoctrinated the boy into the subtle craft of thievery -- and murder. 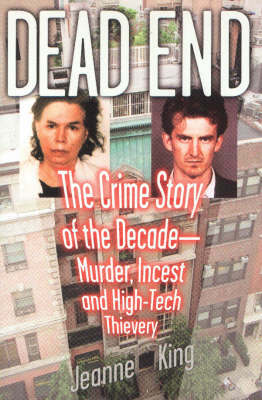 The focus of this book is the trial and conviction of Sante and Kenneth Kimes for the bizarre murder of Irene Silverman, whose New York mansion they were attempting to steal. The fascination lies in the amazing story of Sante Kimes -- a woman whose sociopathic tendencies know no bounds -- and whose dedication to evil has few equals.